The programmed speaker cancelled at short notice, but the Constantine Museum’s archive provided a rich miscellany of Constantine’s past from the 1800s to the 1970s. The Museum’s Collection Coordinator, Don Garman, read several memories and accounts to members which covered granite quarrying, key to Constantine’s growth in the latter part of the 19th century, education, farming, first and second world war experiences, growing up and working the Helford oysters. An early reminiscence was written in 1925 by James Roberts who described himself as an “Old Constenten Boy”. He was born in the parish in 1839 and became a pupil teacher at Ponjeravah Academy before formal training in London He later taught in Yorkshire. A keen Cornish history exponent he wrote on a range of topics. His description of working in the granite quarries alongside his stone mason father and his tales of smuggling on the Helford and Lizard were read. The “Reminiscences Grave and Gay, facts, Folklore and Legend” can be viewed in the Constantine Museum. Stuart Hodge’s memories of working in the Helford oysterage were also read, very apposite as the new tenant prepares to start work in the Helford. Tony Brookes. A retired Camborne School of Mines lecturer and Gorsedd Bard shared his research at the Constantine History Group’s February meeting into iron mining in Cornwall. A veritable Cinderella to the mining of copper and tin. Mining of iron was small scale in Cornwall and evidence on the ground is often absent as the waste was not poisonous and could be used. However, crop marks can often be seen from the air. One of the largest mines was the Restormel Royal near Lostwithiel. The remains of surface working are still to be seen and Queen Victoria visited with Prince Albert in 1846 and went underground. Within the parish of Constantine there are two known mines one on Polpenwith Creek called Wheal Mary Ann and the other between Constantine and Port Navas. The Brogden mine was owned by a Welsh company and worked from 1854 – 1875.Between 1869 and 1875 the mine produce just under 10,000 tons of ore. It was a seasonal mine and was pumped out with a portable steam engine each spring. Today all that can be seen is a thicket around one of the shafts and a few mounds of waste. Charlotte Mackenzie will be speaking about Captain Joseph Banfield, a Cornish sea captain, on March 15that 19.15 in the WI Hall Constantine. Visitors are welcome. Terry Chapman shared the history of the Enys family of Penryn, the house, gardens and the estate’s influence on Mylor at Constantine History Group’s January meeting. The earliest record of the family dates back to 1272. The Elizabethan property was burned down in the 1820s and replaced by the present house. In the late 17th century. Samuel Enys restored the family fortunes by importing wine and built a house in Penryn close to his wharves. His successor amassed 41 properties across Cornwall and built a town house in Truro. The garden benefitted from the family’s travels and a number of plants from the antipodes can still be found. Unfortunately, the house fell into disrepair during the 20th century but is now gradually being renovated and is, amazingly, still in the ownership of the family. Although not the principle landowners in Mylor Parish the estate had a strong influence on the village. The Enys estate rented land, employed trades people, funded a school for 60 years and provided a village pump as well as directly employing gardeners, grooms, gamekeepers and house staff from Mylor. A truly fascinating story reflecting the history of Cornwall from Medieval times to the present. On a lovely summer’s evening 19 members of Constantine History Group were given a fascinating and informative tour by Kingsley Rickard of the Harvey & Company businesses at Hayle. John Harvey a blacksmith and engineer was born in 1730 & established Harvey & Co at Hayle in 1779. By 1780 he was already employing 50 people! 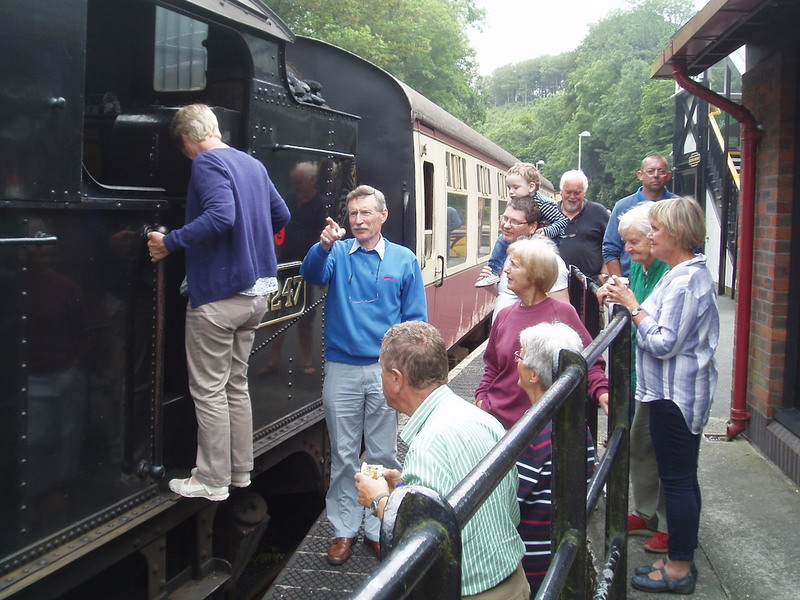 The tour started by the railway viaduct, built in 1852, which is situated above an earlier railway station of the old Hayle Railway Company of 1837. This earlier railway was initially for transporting minerals but later carried passengers and after runningthrough lower Hayle and along the wharf serviced Harvey’s various businesses. Three Rivers flow into Hayle Harbour and sluices were used to retain water. Har-vey’s later built Carnsew Pool, a tidal reservoir, and both these sources were important for flushing silt out from the harbour. We learnt that the Port was established in 1720 and the South Quay in 1819. The latter was where Harvey built ocean-going ships, including the USS Cornubia of 4,000 tons in 1858, which when fully fitted out was too big to ever return to Hayle! Nearby was another Quay where Harvey’s imported timber for use in making engi-neering patterns and beside the road still exists the old and original ventilated building used to store drying timber. On South Quay in 1819 Harveys had its very own gas works! The Harbour was also a major importer of coal and exporter of Ore to South Wales. Moving away from the Harbour we walked into where the main works were situated. Some of these buildings have now been tastefully renovated to serve local businesses. We saw the remains of the early 1800’s Boring Mill building, the Foundry, astore where the wooden patterns were kept behind which tunnels lead into the hillside. Nearby was the old horse stables which serviced the hundreds of horses a day that would visit Harveys businesses at their peak! To think this is where the three biggest steam beam engines in the world were built in 1843 for pumping out water to drain the Haarlemmermeer in the Netherlands. 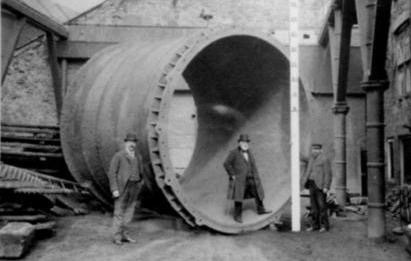 Their cylinders were a massive 144 ins (12 ft) in diameter! Sadly the foundry was closed in 1903, although the company continued to trade as a general and builders merchant, eventually merging with UBM to become Harvey-UBM in 1969. We moved on across the main road by the Mill Pond and looked across to the old Mill Building which in its hey-day had been five stories high but was reduced to its current size in the war. Then along Millpond Avenue where the sea captains lived in terraced cottages and then past the opulent houses that belonged to the Harvey’s directors, before seeing thesite of the old smelting works closed in 1919. Returning towards the Harbour we walked past the remains of the rope making business, which closed in the 1900’s and the brass foundry. There are stories of conflict over 30 years between the two local Hayle foundries. Eventually the Cornish Copper Co Foundry business was bought out by Harvey’s in 1875 which finally resolved the issue. John and his son Henry Harvey, were certainly very successful and enterprising entrepreneurs running many different businesses in Hayle. John had four sons and four daughters. Sadly two infant sons died and one was killed in the Harvey works, which left Henry Harvey, who took over and further expanded the business after his Fathers death in 1803. At its peak the Harvey & Co employed was around 1,200! Returning to the Square by the White Hart Hotel we heard how Jane, one ofJohn Harvey’s daughters, had married the great engineer Richard Trevithick. But due to his poor handling of financial matters he was unable to provide properly for his wife and six children, so Henry Harvey had a boarding house built for her which is now the Masonic Lodge. This business proved so successful that the White Hart Hotel was then built in 1838. Henry had ten children by his common-law wife Grace Tonkin but he still lived to 75, dying in 1850, after which the businesses were split up amongst the family! The group all expressed their appreciation to Kingsley for his knowledgeable and enjoyable tour. Oysters, a food item since Neolithic times and a product of the River Helford for several hundred years, was the theme of Don Garman’s talk to Constantine History Group at their January meeting. The first record of harvesting of the Native Oyster is dated 1580 when the oysterage for Merthen Manor was valued at £2- 10 shillings. Until 1915 when the river was purchased by the Duchy of Cornwall, the ownership of the oysterage was divided between Merthen Manor and the Diocese of Exeter. Tenants managed the oysters layings including the Tyacke family, farmers at Merthen. 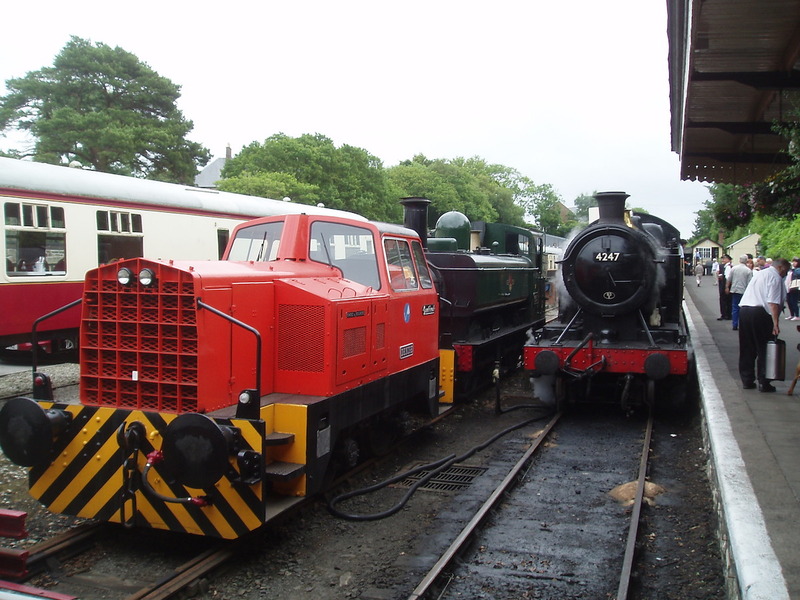 In 1904 the depot was moved to Port Navas from the Pond House in Polwheveral Creek and from 1890 to 2005 was managed or tenanted by members of the Hodge family. The oysters were of value and not surprisingly the court in Helston records several cases of stealing, which resulted in imprisonment and hard labour. A group of fishermen wishing to fish the waters were deterred by armed miners in boats who were employed by John Tyacke. Other incidents recorded include a timber vessel bound for Gweek anchoring over the oyster beds and then drying out on them. The Captain in his defence blames the local pilot! Disease, silt and algal blooms have also threatened the oysterage from time to time. Ownership by the Duchy of Cornwall prompted three royal visits in 1921, 1937 and during the 1970s. 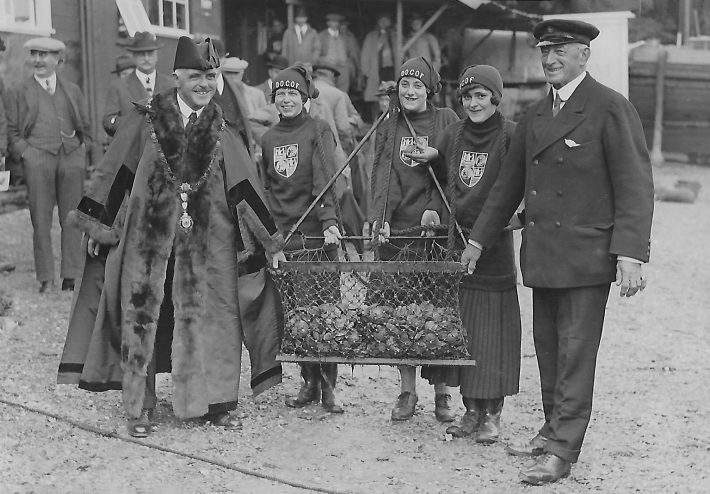 The Constantine Museum has recently been given a photograph of the 1925 Port Navas annual oyster festival. This is the only evidence thus far of this event. During the 1950s and 60s the Dutch Oyster Farm’s 12 employees operating three dredgers and a transport boat were producing 75,000 oysters a week during the season. This formed a third of UK production. Oysters packed into wooden casks had to leave Port Navas by 11.10 to catch the London train. 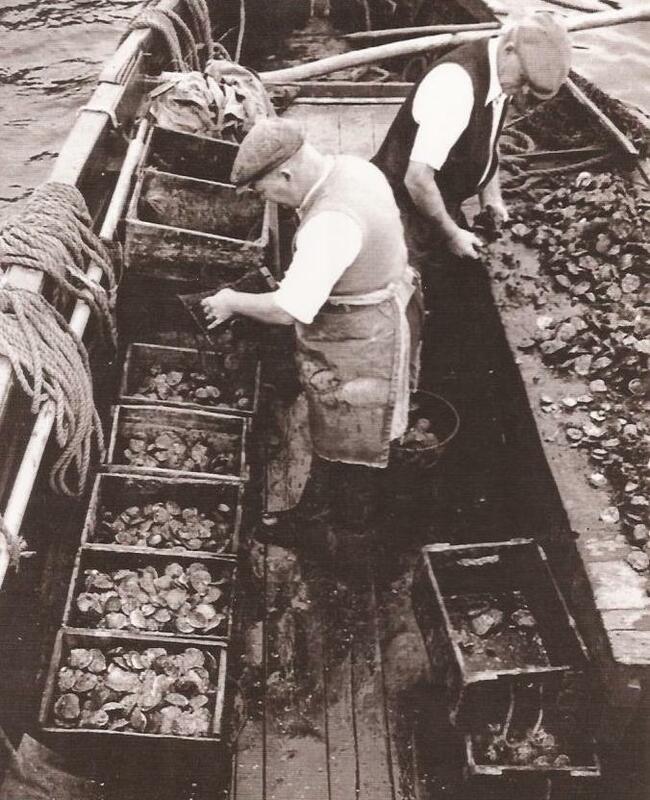 Following strong easterly winds in 1963 50% of the oysters died from suffocation by silt build up, this led to the introduction of Pacific oysters in 1964 which then formed 25% of production. Outbreaks of Bonamia in the 1980s also decimated the oysters. From 1990 – 2005 the oysterage was rarely worked, however the Wright Brothers became tenants and laid 30 tons of young oysters in the river, unfortunately algal bloom was the next challenge in 2009 and Natural England gave permission for Pacific oysters be farmed. New techniques from Brittany were introduced to increase rates of growth, hence the raft which operated as a nursery at the entrance to Port Navas Creek. Once large enough the oysters were placed in cages off Bosahan before being laid in the oyster beds west of Port Navas Creek and then harvested at three years. Unfortunately, the use of a non-indigenous species was not supported by environmentalists and a strong lobby encouraged the owner to call in the tenancy in Spring 2017. The Oysterage is currently in the processes of being re-let. A short AGM was followed by John Head, a retired vet from Helston sharing the experiences of his grandfather, a vet, in the Boer War (1899 – 1902). In 1898 Alfred Searle Head, a recently qualified veterinary surgeon from East Grinstead, obtained a post with a Mr Hoadley in Helston, but at the outbreak of the war in South Africa, described by John as a war of horses, he signed up to join the 6th Inniskilling Dragoons, but not before making an impression on his employer’s young daughter. Following a month on board ship, Lieutenant Head arrived with the dragoons and 407 horses. By now the animals were already in a poor shape. Long rides north to the Orange Free State followed. The Boers burned the grassland to reduce the fodder, and there were few oats and mealies available, so the animals were poorly fed. Clear water was also an issue and poor hygiene meant mange spread freely. The horses also had to carry heavy weights (rider and all their equipment) and trek through either very dry environments or the horrendous wet season and experience extremely cold nights when the horses had to be walked all night to stay warm. Not surprisingly there were heavy losses and vets were in limited numbers with few aids, to treat the animals. Of the 570, 000 horses 70% died, of which only 5% were lost through enemy fire. The huge losses of animals led to improvements in horse welfare and following re-equipping and a supply of fresh horses in 1901 each soldier was allocated his own horse with severe punishment if the animal was not properly looked after. Losses of animals then reduced. Following the end of the war Alfred remained in the army and served in Sudan. On his return to Helston he married his employer’s daughter. During the World War 1 he ran a hospital for horses and ensured animals going to the front were in good condition before they were shipped to France. During this war losses of horses was reduced to 20%. In World War II he took command of the Home Guard in Helston. The veterinary practice he established is still trading. The next meeting will be on January 19th in the WI Hall Constantine at 19.15. Visitors and new members are welcome. Contact 01326 250604. Jan Pentreath delved into the myths and realities of Dolly Pentreath’s life and her significance in the history of the Cornish language at the Constantine History Group’s October meeting. Jan’s talk was based on extensive and very thorough research. As the only child with the Pentreath surname in Mousehole he had been intrigued by the monument funded by Louis Bonaparte to another Pentreath, Dolly, in the wall of the churchyard at Paul and wondered whether she was a relation. Despite the research the family link is still not clear. Jan’s efforts to find out more about Dolly resulted in several puzzles that needed to be solved. Did Dolly really exist? There was no registered birth and no death but there was a Dolly Jeffry recorded in 1777. Evidence suggests that a son born out of wedlock may have given the surname Jeffry on her death. A Doartye Pentreath , whose father was a Nicholas Pentreath, was baptised around the time of her likely birth was this Dolly? Interestingly, the need of her eight-pall bearers to halt on Paul Hill to refresh themselves with half a bottle of gin is recorded! The monument records her age as 102 but this does not relate to her birth and death in 1877. An ode may have created this myth to achieve a good rhyming structure also there were calendar changes and the years were calculated according to the reign of the monarch. So, plenty of room for error. William Borlase, claimed that the Cornish language had died out by the 1750s, however, his friend Danes Barrington, a lawyer sought, to find out if this was true and was put in touch with Dolly. Was she the last Cornish speaker? Evidence suggests she was not as a fisherman wrote to Danes Barrington in Cornish, a language he purported to have learned from the “old men”. His family, the Bodinars were responsible for the location of Dolly’s monument, however a relation of the undertaker declared it was in the wrong place. It was later moved to where it was thought Dolly was buried. Were the Bodinars jealous of Dolly’s fame? Jan suggested that Mousehole smugglers retained their Cornish language to enable communication with their Breton counterparts. Therefore Dolly, probably born into a smuggling family, would have spoken Cornish and later learned English. To claim that she was the last native speaker is probably justified. Following a gentle descent into the valley of the Cober from the Penrose car park, a parkland vista with Loe Pool in the distance appeared, this was the beginning of an evening exploration of a small part of the 1600 acre Penrose estate led by National Trust Ranger, Greg Cross. The parkland was set out for the Rogers family by landscape architect Gilpin. Eighteenth century maps also showed a small deer park and extensive orchards. Many of the specimen trees were brought to the UK by the plant hunters. Unfortunately, some are now reaching their lifespan. Members were intrigued to see the bathhouse with is deep plunge pool, this gothic building awaits renovation. Further down the valley the house came into view. There has been a house on the site for at least a thousand years. Wealth obtained from mining by both the Penrose and Rogers families enabled the house to be expanded from time to time, so it incorporates a range of styles. Later the original front was observed with the remains of the grand drive, here there was much greater symmetry apparent. The group were able to visit the coach house, which still retains some of its original fittings and members were intrigued by the slate lined chests in the window embayments. The stables and farrier tunnel, unused for many years, remain as they were when the last horse left. Several of the buildings are occupied by bats, in fact the estate is bat rich and has a good collection of UK species. Next the walled gardening dating from 1772 with the remains of hothouses and frames and then the Dial Garden with its Ginko, Japanese Pine and Eucryphia. Mrs Rogers’ walled garden once had a pool at the centre whilst the gardeners’ bothy still has an original potting table. The line of buildings at the northern end of the walled garden included a laundry and school room, all waiting a new roof. The yard behind the walled garden contained a timber store and the carpenters workshop, which was used to process the abundant timber from the estate. The Temple Plantation one provided the pleasure grounds for the house but are now overgrown as are some of the formal garden areas, providing a reminder of Heligan. The lecture programme begins on Friday September 15th when Jo Mattingly will talk about “Cornish House Fires” at 19.15 in the WI Hall, Constantine. Visitors welcome. The Cornish country houses of Tehidy, Lanhydrock, Godolphin, Trelawne, Arwenack and Mount Edgecumbe and many more have an event in common, a major fire. Jo Mattingly shared her research on country house fires with members of Constantine History Group at the September meeting. Most of the fires mentioned happened during the nineteenth century, but some were earlier e.g. Arwenack in 1646 and others more recent such as Carclew in 1934. Records often do not mention the cause, but many seem to have been chimney fires whilst other were caused by careless use of candles, installation of modern heating and electrical systems in old house and some, possibly, by arson. Most fires happened at night or early morning when few members of the household were moving about the house. A daytime fire at Trevethan in 1815 was not noticed because, apart from one occupant, all were in the fields for the harvest. A common feature in attempts to fight the fire was a lack of water, Trelissick was able to limit damage in 1880 because of the plentiful supply from its water tower. Several large houses had their own firefighting equipment such as Tehidy. Often the equipment was also used to fight fires in the local area. Country house fires created architectural loss to the county and often collections of valuable art work, books and archives were also destroyed. Following fires houses were sometime reconstructed such as Lanhydrock, but frequently owners took the opportunity to redesign their home. The remains of building are sometimes incorporated into the replacement. Occasionally, as at Carclew the house remained a ruin. During the nineteenth century and earlier houses were often not insured and owners had insufficient funds to rebuild. Fortunately, there are few deaths recorded although sometimes owners such as Lady Robartes died of shock a few days after the Lanhydrock fire in 1881. Owners often seem to have found time and a safe area to get dressed before they appeared on the scene of the fire! Next month’s talk “Dolly Pentreath and the Cornish Language” by Jan Pentreath will take place in the WI Hall Constantine at 19.15 on Friday October 20th Guests welcome. Contact 01326 250604. A wet morning transformed into a lovely summer evening, which ensured an interesting and dry Winston Graham walk around Perranporth, led by Perranzabuloe Museum Curator, Karin Easton. Winston Graham (formerly Winston Grimes) moved with his family from Manchester at the age of 17 and lived in the town for the next 34 years. The walk encompassed sites relevant to the author’s life and locations that influenced Poldark. The first location was the Tywarnhayle Hotel where his family stayed whilst considering their move from the north, then the capped shaft of the real Wheal Leisure followed by Graham’s brother’s outfitters and haberdashery shop, the site of the author’s house in area called Nampara and the grass tennis courts, with a pavilion dating back to 1896, where he played. The former site of the Miners and Seiners Inn, now a housing estate, is where the meticulous author met local miners to ensure he got his details correct for the series of Poldark novels. The walk ended with a view of Perran Beach – Hendrawna Sands in Poldark and the site of the Coastguard Station where Ross Poldark took shape whilst watchkeeping during World War 11. Later Graham used a wooden bungalow for writing on the dunes, this is no longer in existence. The group then returned to view the excellent Perranzabuloe Museum where there were several Graham artefacts. Members were surprised to see how many books he had written, many more than the Poldark series. Winston Graham was former President of the Museum, a role his son, Andrew, now holds. 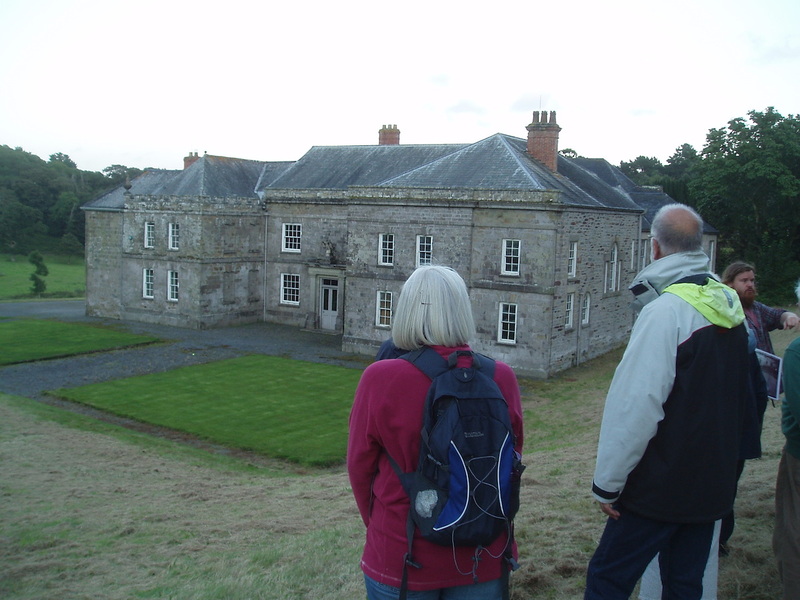 The last summer visit will be a guided walk around part of the Penrose Estate, Helston on Friday August 18th. Members and guests are asked to gather at Constantine Church Car Park at 08.00. Contact: 01326 2450604. 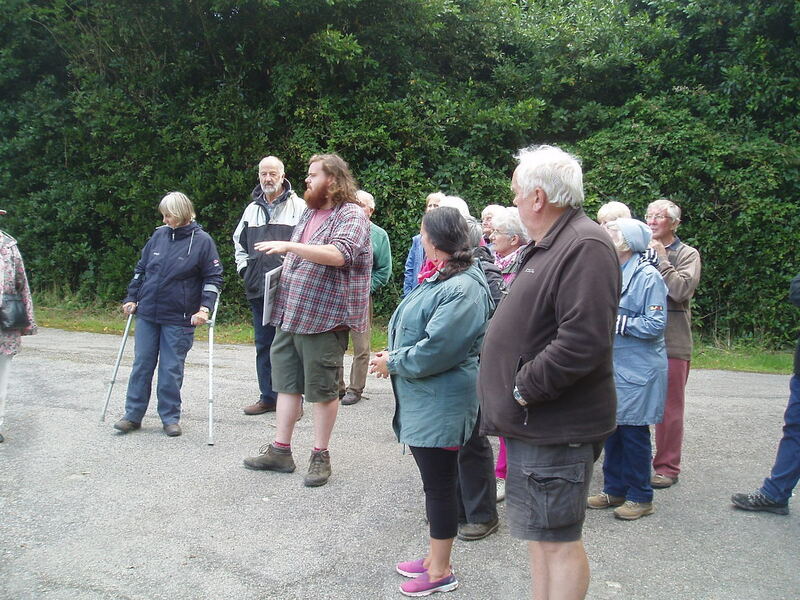 Greg Cross, a national Trust Woodland and Access Ranger from the Penrose estate, Helston, took members of Constantine History group on a historical journey of the Penrose estate, which has only had three owners in the last 1000 years: the Penroses, Rodgers and since 1974 the National Trust. The journey began at Gunwalloe where archaeological digs discovered dwellings dating back to the Bronze Age. Mining on the estate dates possibly from Roman times with Wheal Rose along the coast and Porkellis in the Cober Valley. The upper reaches of Loe Pool have been infilled with mine and streaming waste whilst other influences on this large expanse of freshwater have also included World War II activities and flood alleviation which has seen Loe Bar cut through to solve flooding in Helston. The house originally of Medieval origin is still occupied by a member of the Rogers family. The formal gardens of the 18th century have almost disappeared but the parkland and the influences of the nineteenth century plant hunters are still visible. The March meeting will be held on Friday 17th at 19.15 in the WI Hall Constantine. The speaker will be Lawson Tickell on the History of Culdrose. Visitors are always welcome. The name “Perran Foundry” on a piece of iron on a beach in the British Virgin Islands prompted mining geologist Chris Burton to research the Perran Foundry located near his home in Perranwell. The metal on the beach was part of the beam from the mine engine on the cliff above. Chris shared his fascinating research with members of the Constantine History Group at their January meeting. The development of the Perran Foundry begins with the Fox family resettling in Falmouth from Fowey. The family of Quakers were attracted by the increasing commercial activity in the port and mining in the surrounding area. The enterprise began with two Fox cousins leasing land on either side of the Kennal Valley in 1776. Here they developed a wharf for the shipping of copper and the import of coal, timber from the Baltic (hence the Norway Inn), guano and limestone. George Fox was appointed to manage Perran Wharf and he built a house on the hill called Tredrea. The port proved valuable to the Gwennap mines for the next 40 years. In 1791 the Fox’s decided to build a foundry which would enable heavy machinery, particularly steam powered beam engines, to be constructed closer to the mines. The foundry, with power to be provided by five water wheels, was to be built just above the Perranwharf. Although members of the family knew little about the foundry business they recruited experts to help them, particularly Peter Price, a Welshman from Neath. A lease in South Wales provided an opportunity to obtain iron and produce pig iron, which could then be shipped in their “Welsh fleet” of ships to Cornwall. Initially the engine parts were made in Neath and assembled at the foundry. By 1830 both the beams and the engines were being produced at Perran and the highly skilled workforce, working twelve hour days, six days a week , was being managed by Charles Fox, an intelligent 25 year old. The Gwennap mines were at their zenith between 1825 -50 and were responsible for one third of the worlds copper. By now the company was servicing machinery previously supplied and thus Charles sought new markets abroad including Mexico and Australia. Wherever Gwennap miners migrated orders for Perran Foundry equipment soon followed. Steam pumps were also sold to the Dutch to drain the Haarlemermeer.In 1842 Charles retired to Trebah and Barclay Fox, his nephew, took control, a man of incredible energy. Through marriage he gained an interest in coal mines in the north east of England. The foundry began to feel the impact of reducing copper production and was sold to the Willams family who closed the foundry for a year to refurbish, but in 1880 the last engine left on a barge and they closed it down. For a brief period it was owned by the Sara’s and then it was purchased by Edward Bros and converted to a corn mill, although between 1881 and 1911 it was also producing woollen cloth. Corn merchants, Libby’s, purchased it in 1969 and the final closure happened in 1988. Intentions to develop the site for housing were eventually realised in 2005, but are still to be completed. The Chairman for the evening Richard Clowes thanked Chris for sharing his research which made a fascinating story. The Constantine History Group’s November meeting began with a short AGM followed by John Shepperd who spoke about the early history of the hamlet of Port Navas. His mother and father researched the history of the community and produced a book “The Story of Port Navas”. John worked with his mother to produce a revised second edition for her centenary year in April. Members were delighted that Peggy Shepperd was able to attend. John pointed out that Port Navas did not really exist as we know it today until Jonathan Mayn developed the creek at Cove, an earlier name, for shipping granite in the late 1820s. Despite the late development of the present day community that we are familiar with, John began by pointing out that there were 321 sites of archaeological interest in a 6 mile radius of the hamlet. There is evidence of man on the Gower peninsular dating back 33,000 years ago. This is only 100 miles away in a direct line so it is likely that there were people in this area also, particularly as the Bristol Channel was dry land. Seven local finds of hand axes and arrow heads provide evidence of Mesolithic occupation (10,000 BP) whilst Neolithic implements of Gabbro from the Lizard are distributed over England as are Gabbroic clay pots from clay pits at St Keverne. The clay was able to withstand direct heat unlike pots made of clay from other sources where water would be heated by placing hot stones in the pots. By 3600BC bronze was being produced in the Indus Valley and by 2200BC there is evidence of Cornish tin being exported to make this valuable metal. Tin streaming of the local water courses would probably have contributed to Cornish production. There is also evidence of Bronze Age communities within 8 miles of Port Navas, however, Iron Age people certainly lived in the area and there are seven rounds in Port Navas, three of which are at Calamansack. The Iron Age people don’t seem to have used money yet traded with the Romans, this may explain why several Roman hordes have been found in the area, the tribes of the time had little use for it! Following the departure of the Romans the tin trade collapsed and the battles with the Anglo Saxons meant the Cornish were soon confined within the current county boundaries but trade with Brittany continued and several Irish Saints settled in Cornwall. During Medieval time a number of local estates such as Calamansack, Trenarth and Treviades developed, each one having access to the river Helford to enable fishing, dredging for oysters and trade by sea. Members concluded that although the present community was relatively recent, the area has a long history of occupation and traded with both other parts of England as well as the continent. Chairman for the evening, Peter Tatham thanked John for providing an interesting timeline and for setting Port Navas in context. A grandfather’s silver cigarette case with an inscription began an investigation by Ken Johns, a retired ICT expert, into the work of the 251st Tunnelling Company resulting in a book “Battle Beneath the Trenches”. Ken shared his research with intrigued members of Constantine History Group at their October meeting. The silver case led Ken to an archaeological dig near St Quentin, in the Pas de Calais le Nord region of France. Here tunnels beneath German trenches were being exhumed they included graffiti, candle sticks and other artefacts. The experience encouraged Ken to investigate further. Mining under defences was a strategy learned by Europeans from experiences in the Middle East during the Crusades and it was deployed widely by both sides during World War 1. The British Expeditionary Force of 250,000 men was holding the German advance in 1915 but was experiencing the effects of successful German tunnelling and explosions under the front lines. A successful engineer working in Manchester, Sir John Norton Griffiths, was engaged to recruit men and manage the tunnelling under the German defences. Not only did he recruit his own employees but he also sought out Cornish miners recruiting 220 from the 10th Battalion DCLI and established the 251st Tunnelling Company. Unlike the infantry who were paid 1/- members of the tunnelling companies were paid 6/-. The Company were posted to Bethune to protect the northern coalfields. Their activity soon limited the German tunnelling and explosions to no man’s land. Excavations took the Cornish miners down to the aquifer working in both chalk and clay, this placed them underneath the German tunnels. Work took place in silence, each side established listening posts but despite this caution occasionally one side would break into the tunnels of the opposition and fighting in confined spaces followed. The work was hard and required an intake of 4000 calories per day but was more about quantity than quality. The conditions were both dangerous and unpleasant and air had to be pumped to the tunnels. As the war progressed tunnelling became more about being on the offensive with huge explosions being detonated. Later on in the war the Company was involved in building machine gun posts, dugouts, magazines, dressing stations and the construction of anti tank traps. Following the Armistice on November 11th the Company were engaged in rebuilding infrastructure such as bridges and canals. The 251st contributed significantly to protecting the coalfields and 178 of the original 220 survived their challenging experiences. Ken’s grandfather, a tunneller, but not in the 251st, on return to Cornwall, decided not to go back into the mines but went to New York where he worked on the tramways for 9.5 years. On return to Cornwall he set up a successful transport business. Don Garman, Secretary, thanked Ken for sharing his remarkable research with members. The next meeting will be on November the 18th at 19.00 in the WI Hall Constantine. The short AGM will be followed by John Sheppard who will be giving a talk entitled “The History of Port Navas”. Visitors are welcome. Pasties will be available but please contact 01326 250604 to book. Members of Constantine History Group braved the wet evening and ventured to St Allen Church north of Truro for their first visit of the summer season. Andrew and Pat Harvey provided a talk about the parish and church and a guided tour. Within this very rural parish with its dispersed farms of medieval origin and the hamlet of Zelah there are several Iron Age enclosures and an Iron Age Fort in Bishops Wood, once the deer park of the Bishops of Exeter who had a palace on the site of Lanner Barton. One of the enclosures was also used as a Plen An Gwari, a playing place for miracle plays. The parish was established in pre Norman times and all but three of the medieval farms are still in existence. There is doubt about the origin of the name did it relate to a male or female or is it simply the corruption of a Celtic word meaning a beloved place. A local carver has produced a splendid representation of St Allen from local timber. Three Celtic Crosses are to be seen in the churchyard, two were found buried, probably the result of the dissolution of the monasteries or the Civil War. These suggest that there was a pre Norman church on site. Certainly there was one on site by 1261 when the first incumbent is recorded. However, it is possible the north aisle was built before the Norman Robert Count of Mortain died in 1190. The north wall contains a blocked up Norman doorway. The south aisle was added in the 15th century. The perpendicular style tower contains three bells one of medieval origin. During the 14th century, whilst the Bishops of Exeter used Lanner Barton, the parish must have been of some importance. The church unusually does not have, apart from the vicarage, any surrounding housing. However there is evidence of a churchtown in the large field to the south, this may have been vacated due to the Black Death or the attractions of a growing Truro. Cottages close to the church fell into disrepair some years ago and were removed. The parish saw an increase in the population when lead and silver began to be worked in the 1830s One of the mines, East Wheal Rose, proved very productive, but a storm around noon in 1846 saw 39 die as water flooded the mine via the main shaft. Seven are buried in the churchyard at St Allen. Two headstones can still be seen, one for Thomas Bishop a 21 year old. The mine also featured in a survey of children working in mines and reports on the unhealthy conditions experienced underground. Today the Parish of St Allen has been joined with that of Kenwyn and this delightful church in its attractive rural setting continues to serve its population which is dispersed around the parish. The last lecture of the 2015/16 season to Constantine History Group was “A History of St Ives” presented by Janet Axten of the St Ives Archives. Janet used engravings and photographs from the Archive’s collections to illustrate the growth and development of the settlement from a small and remote fishing village to a tourist destination renown for both its art and its beaches. The arrangement of St Ives has been determined by the physical configuration of the coast, the island with beaches on either side and the harbour located in the lee provided largely by the island. In the 17th century St Ives was an insignificant fishing community and Porthmeor was an area of moving sand dunes untenable for habitation until the containing wall was built in the 1800s. Despite its insignificance, the people of St Ives funded their own church in 1420 in opposition to the Bishop who wished them to use the mother church in Lelant, an arduous journey from the village. King Charles 1st gave a Royal Charter in the 1639 which enabled markets to be held and a Mayor to be appointed. This may have been in recognition of the developing fishing economy. However, the occupants showed their gratitude by supporting Cromwell during the Civil War! Smeaton designed the pier which provided a safer haven for the fishing boats and an engraving of 1830 shows the town to be surrounding the harbour, however, it had grown noticeably and by this time pilchard seining was a significant activity. Wesley visited in the 18th century and a chapel was subsequently built, later other chapels were constructed and teetotalism became a strong force in the 1840s. The Island has a longer history than the town with its early chapel on this high point with good views along the coast and to seaward. Not surprisingly it became a military base from the Napoleonic Wars until 1904. Farming, boatbuilding and associated industries contributed to the early 19th century economy together with a concentration of mining in the Carbis Bay area. The Trenwith Mine produced pitch blende and was rich in uranium. The German owners had an idea for a radium spa but the mine closed at the outbreak of World War 1. An unsightly gas works now replaced by the Tate Gallery was built on the Portmeor side in the 1840s in close proximity to the cemetery. Housing in the older part of town e.g. Downalong were often accessed by steps above street level with a basement providing storage and the wash house. The Victorian terraced streets each had their own shop. The well known Terrace housed middle class professionals and being higher up was considered to be a more healthy place to live. There were also the large properties of the upper classes such as Tregenna House.. Significant growth and changes to the economy began after the railway came to town in 1877. The Great Western Railway bought Tregenna House from the Stephens family and turned it into a hotel (Tregenna Castle). Second homes began to develop and St Ives was on the grand tour itinerary and the first local paper published a visitors list from 1889. Artists began to be attracted to the town in the 1880s and some trades people responded by supplying artists materials. Later in the 20th century Ben Nicholson, Barbara Hepworth and Bernard Leach were to ensure St Ives remained a town known for its art and the Tate has retained that reputation. Meeting Chairman, Melanie Uren, thanked Janet for an interesting talk which demonstrated the resourcefulness of the St Ives community who have adapted over time to many changes. The next event is a visit to St Allen Church on Friday May 20th members and visitors are asked to meet at Constantine Church car park at 18.00. The 2016 Sport Relief evening coincided very appropriately with Constantine History Group’s March talk on the History of Sport in Cornwall, given by former Cornwall Museum Development officer and local historian Jo Mattingley, the talk was illustrated with objects to be found in Cornwall’s museums. Cornish wrestling or “wrasslin” has a history probably lost in time. In the 1700s Sir Thomas Parkyns became fascinated by the variations in rules applied in different part of England and published a book in 1713. All of his male servants and coachman had to be participants in the sport. Another early sport was out hurling which involved 12-15 participants and toe to toe wrestling. It was recorded by Edward Lhuyds in 1700. In hurling involved 20 – 25 per side. In 1205 a sport called soule is recorded, this could well be an early form of hurling. Players of this game were known to be killed. Certainly the older established sports had a reputation for excessive drinking, gambling and violence. Not surprisingly the rise of Methodism saw chapel members protesting at wrestling matches. It is possible that Thomas Arnold developed the game of rugby from a knowledge of hurling gained from his Cornish wife. Bert Solomon, a Cornishman, scored the first try for England in the first ever game at Twickenham. Although rugby is popular in Cornwall more football was played in the past. A highlight was the 1967 game between Manchester United and Mousehole AFC. Bowling was a game for the upper classes and many large houses had their bowling green, the green at Lhanhydrock dates back to at least the 1690s and is one of the earliest in Cornwall. Kayles was a version of skittles played by the working class. Records of the game include complaints that men played all day instead of working and had to be brought their meals! Cockfighting and bull and bear baiting were common until banned in the 19th century. The Bull post can still be seen in Liskeard. Cricket by 1856 was popular in the county with all communities with over 2000 inhabitants having cricket teas apart from Saltash! In 1773 there was a match for married and unmarried gentlemen in Falmouth, whilst in 1813 the first Truro cricket ground was established on the Olympic Field. Later in Boscawen Park there was an early international game between the England and Indian Women’s teams – England one by three wickets. An analysis of scores in the 19th century interestingly shows few over 80, centuries were very rare. Sports days were common to many communities as were the regattas around the coast. On the water events provided opportunities for gig racing and on the Tamar and Fal there were flashboat competitions. Surfing has been a sport since the 1920s, Perranporth being an early centre. Jo finished her talk by mentioning Lerryn’s jumping postman who completed for Cornwall at Crystal Palace. He won 510 competitions and used the prize money to build a row of cottages in his home village. Winning prize money meant that this Cornish star was not eligible for the Olympics. Chairman for the evening, Peter Tatham, thanked Jo for taking us through 300 years of history. The next talk will be on April 15th at 19.15 in the Constantine WI Hall, when Janet Axten will be speaking on the History of St Ives. the well remembered 33lb carboy filled with blue liquid, graced the counter. The comprehensive collection provided illustrations and prompts for speaker Kingsley Rickard. Kingsley was an apprentice pharmacist and worked for Boots for many years. There were few branches in the south of England he had not visited. Beginning with the world of glass (no plastic in the dispensary) we learned that coloured bottles protected the contents from UV and that ribbed ones contained substances unsuitable in their current concentration for human consumption. The chemist decided on the containers to be used and attractive ones would be purchased for display. Labels on thin strips of glass were waxed onto the bottle and could be removed with a little heat so the bottle could be used for another purpose. Labels normally used abbreviated pharmaceutical Latin. Bottles were marked with the tare weight so that weighing allowed the remaining contents to be measured easily; this made stock-taking a straightforward process. Large containers were sometimes used to store stock mixtures at signs of epidemics. The pharmacist would know the preferences of the local doctors and would ensure their favoured prescriptions were kept in stock. Dispensing required knowledge and skill, and preparation of prescriptions on site took more time than today, so often clients would need to return the following day. The retail department would perhaps have supplied customers with stone hot water bottles, torches with wooden cases (we were shown a beautifully made 120 year old example) and cameras. There would also have been beauty items such as Toni curlers, and curling tonges. The demands of the farming community in Cornwall meant that the pharmacy often stocked medicine kits to treat animal disorders. Kingsley ended his presentation by writing out a prescription and decoding the abbreviated pharmacists’ Latin. He explained that doctors did this so that the patient was not aware of what they had been prescribed. Peter Tatham thanked Kingsley for reminding us of the significant changes in pharmaceutical practice and for entertaining us with his many stories. The Group will meet on February 19th in Constantine WI Hall at 19.15 when Paul Cockerham will talk about the ‘Tombs of Our Ancestors’. On entering the WI Hall, members were met with a display of Gullies, Thirdells, Pinchguts, Tivvys, Penny’s and many other items of pottery with intriguing names. All of the items were products of the Lakes’ Pottery once located in Chapel Hill, Truro; the site is now occupied by a Baptist Chapel. Mike Edwards, a lifelong and well known potter and one time employee of Lakes, provided an intriguing history of the business and pottery process entitled “Back to the Yard”. The title originated from listening to male senior citizens known as the “Truro Parliament” who sat on the window ledges of what is now the HSBC Bank and talked about “up the yard” when referring to the pottery. The production of pots for domestic use in Truro can be traced back to the medieval priory that may have used a local seam of clay. Bradshaw, in his railway guide, mentions the Venn pottery in the 1860s, which was sited near to what is now Halfords. Potting was one of several small manufacturing industries in Truro which included the production of rennet and vinegar. The Venn pottery specialised in making spills (vases) for flower shows, particularly for flowers from Scilly, the clay being brought by train and then horse and cart from Devon and some from St Agnes. The pottery closed in 1920. C.H. Lake, a St Austell builder’s merchant, bought the Chapel Hill site in 1872 and continued the existing pottery business. Prior to throwing the pot, the clay was milled using a horse whim. Mike served his apprenticeship with Lakes in the 1950s and progressed to being a wheelman (potter). Following throwing of the clay, pots were dried before being fired, heat being provided by the sun or by burning gorse prickles. The kiln of stone and brick was 40’ high and was fired with furze (gorse) that was collected from as far afield as Goonhavern by some of the employees. Firing took place once a month on a Friday and Saturday. In 1944 a new kiln was constructed by bricklayers from Stoke on Trent. This kiln was fired using 5 tons of Welsh coal. Once it got going, flames would come out of the chimney and a crowd would gather to watch. A wide range of household products were produced including cream pans, grave ornaments, cloam ovens and chimney pots, as well as a range of jugs and pitchers. Glazing for domestic use was only on the inside. During the 1950s the demand for domestic products began to reduce as plastic became more common and more houses had mains water so Lakes began to produce items for the gift trade. Horizons were also expanded beyond the local market as the pottery began to be produced for export. Products by now were glazed externally. The pottery was sold to the Dartington Trust and later another owner oversaw the demise of the pottery and sold the site in 1984. Mike Edwards left Lakes in the 1960s and then worked for many years at the Bolingey Pottery, Perranporth. The Chairman, Geoff Roberts, thanked Mike for his interesting talk. The next meeting will be on Friday 16th October at 19.15 in the WI Hall when Chris Hosking will be talking about the Geevor Mine. May’s meeting of the History Group was a visit to the Helston Folk Museum. Tracey Clowes, a stalwart member of the Group, is the assistant curator at the Museum and gave the Group a warm welcome. The visit started with a demonstration of the Flora Day Clock which, built in the 1930s, had recently been restored to health just in time for this year’s Flora Day. The Museum is deceptively large and stands on the original meat market and butter market in the Market House. Over the years the museum has been extended into what was the Drill Hall. Outside, a canon from HMS Anson stands guard. The Museum offers an insight into the History of Helston and the Lizard Peninsular and has an extensive collection of mainly Victorian memorabilia. Tracey was joined by a group of helpers, all part of the force of 50 volunteers who help to run the spotlessly clean and imaginatively-displayed collection of artefacts. The first to take us back to the 1800s was Constance Treloar, behind the counter of her corner Victorian shop, surrounded by cleaning materials, food, starch and other essentials of her time. She bemoaned the fact that there was talk of closure of the railway line, that people had started to use the newcomer shops taking her trade and generally appeared not to welcome “modern-day living”! Following that, we were invited, as students, to the schoolhouse where we were berated for being late (!) by Charles Alexander Johns, Second Master at Helston Grammar School in 1831. He explained that although as well as being an educator he had become a priest and in 1847 became Headmaster at Helston. His priestly duties tended to play a more minor part of his life than that of botanist or “botaniser” as he preferred. He had written a number of books on botany and he read an exciting passage from one in which he nearly fell over a cliff on the Lizard whilst collecting plants. Next, we were entertained by one of the bicycle “scorchers”, who explained how he and a friend would get into trouble with the local constable because of the speed they would ride their bicycles down the main road. He really could not see that they were more likely to cause an accident than the horse and carts which filled the streets, or even the motor car, one of which had recently been seen in Cornwall, but the magistrate had not been impressed and fined the two scorchers a hefty amount of money. We then watched a video clip telling the story of Granny Boswell. Anne Boswell was born in Ireland and later married her second husband Ephraim Boswell, known as the King of the Gypsies. From the 1860s onwards she lived in west Cornwall, mostly on the Lizard, and ended her days a pauper at the Helston workhouse. She was feared by some but was given the name the “wise one” and people would consult her on various matters. She would carry bags of spiders to give to the sick and was said to cure ringworm in cattle. One tale involved Granny Boswell becoming very drunk in Helston Inn and, outside, seeing her very first motor car. The driver got angry at her behaviour and told her to leave. Granny Boswell told him the car would never reach the end of the street. It is said the car broke down a few yards along the road and had to be towed away by horse and cart! Granny Boswell died at age 96. Our hosts then gave an insight into the many shipwrecks off the Lizard peninsular, sang songs and told the tale of several of the more famous incidents including the death of Lord Bellhaven on the Royal Anne. He was the new Governor of Barbados but died when his ship went to the bottom off Stagg Rocks. They told of Henry Trengrouse, born in Helston in 1772, who, having seen so many lives lost to shipwrecks, worked long and hard and finally invented the rocket line lifesaving equipment, an early type of Breeches Buoy which was to save thousands of lives. Initially ignored by the British Government, they eventually ordered twenty of Trengrouse’s rescue systems and, having examined the equipment, decided to manufacture it for themselves, giving Trengrouse a mere £50 in compensation. The Czar of Russia, however, gave Trengrouse a diamond ring in recognition of lives saved in the Baltic using his invention. After refreshments, members of the Group spent a most enjoyable and informative time looking at the various exhibits, which were displayed according to subject. 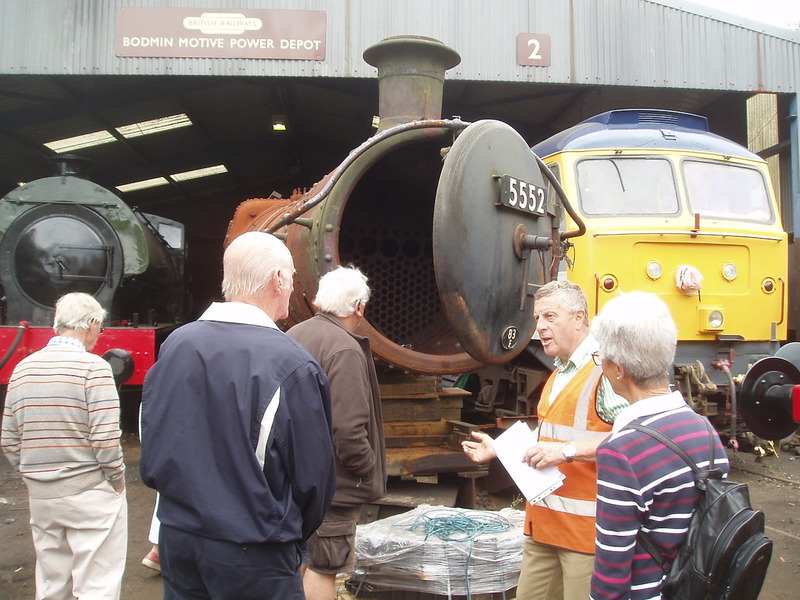 Geoff Roberts thanked Tracey Clowes and her team of volunteers for providing such a splendid entertainment and showing off their fine museum. Ivor Corkell, a long term resident of Camborne, provided members of the group with a comprehensive history of the impact of the Second World War on Cornwall and particularly in the areas of Falmouth and Camborne. Ivor pointed out that tensions were already high in Europe in the late 1920s and that two Royal Naval vessels were sunk by the Japanese. Following Churchill’s plea for preparations to be made for war in 1935, gun emplacements were constructed along the north coast as this was the anticipated location for an invasion. Members were interested to see that the line of pill boxes encircling Falmouth faced west and north-west to protect the port from this expected direction of invasion. Once war was declared Anderson and Morrison shelters were made available and the latter were free if your income was less than £250. In the towns community shelters were constructed, proving useful for courting couples and businesses built shelters for their employees, at East Pool mine a Cornish stamp was converted. Oil tanks were placed under the surface in Swanpool (now being removed to enable house construction) whilst gas masks and ration cards were distributed and train loads of children began to arrive in Cornwall from the cities. Homed by the Women’s Institute most were well treated but some were not. One child being punished by being lowered into a well! On 3rd September 1939 Falmouth was commissioned as HMS Forte and defence booms, and barrage balloons were soon in place accompanied by restrictions on access to the beaches. The Fal was to see much activity during the war including departure of the St Nazaire raiding party and preparations for D day, whilst in the Helford SOE established a base for clandestine visits to France. A variety of new organisations were established including the LDV (nicknamed Look, Duck and Vanish, later to become the Home Guard), Women’s Voluntary Service, Land Army and Air Raid Wardens. Local factories such as Holman’s, Climax and Bickford Smiths changed production from equipment for mining to support the war effort. Cornish airspace became busy as the airfields at Portreath (commissioned in 1941), St Mawgan and Predannack became increasingly active. Ivor showed a map of allied aircraft crashes, which showed concentrations around each of the airfields. Some air crews were lucky to survive, one plane despatched to challenge an enemy aircraft off the north coast had to ditch and resort to the inflatable dinghy. After attempting to swim it ashore, paddles and clothing made a sail. On arrival on the beach a 300 foot cliff then had to be scaled to obtain help for the injured crew member. Pilot and crew both survived. Preparations for D Day saw large numbers of American troops arrive who were constantly on the move for practice. Communities found themselves subject to access controls to their own villages and became aware of segregation between black and white Americans, some witnessed racial fights in Camborne, whilst in Falmouth the Canadians sought a fight with their north American colleagues! The talk reminded many of their experiences in their childhood and teenage years. Chairman Geoff Roberts thanked Ivor for his detailed account and anecdotes. The group will meet on Friday 20 March at 19.15 in the WI Hall Constantine when local residents Suzanna and Dougal Jeffries will speak about the “The Isles of Scilly”. At the Constantine History Group October meeting a large audience assembled to learn about “Work and Wealth of Gweek and the River Helford 1700 to 1850,” from David Freeman, who was born within a stone’s throw of the river. Following the formation of Loe Bar across the Cober during the 14th century, Gweek became the port for the Stannary town of Helston. During the 18th and 19th centuries the busy port was operated by the Gweek Company. Tin, copper, granite, fish, shellfish and agricultural products could be exported by ships using the river and its several harbours and quays, whilst charcoal for smelting, coal for the mine beam engines, baulks of timber from Norway, limestone for improving the land and salt were imported. In later years grain was imported by the Collins family for milling in Gweek. The river trade was such that the Gweek Customs House was moved from Helston to Teeth, near Helford Village, in 1822, and the Merthen estate extracted river dues from vessels entering the upper reaches of the river. To improve transport connections with Gweek a canal was proposed in 1796 from Hayle via Helston, and later the Junction Railway was planned but neither were built. Not surprisingly, several trading craft were registered at Gweek. The “Rob Roy” berthed at Merthen and carried oysters to market and at time coal, whilst the Caroline (238 tons) carried passengers, many emigrating to America. Cargoes carried by Helford ships were not always legal. “The San Euphemia” owned by John Nicholls, described as a merchant of Merthen, was captured by the revenue cutter “Fox” and found to be carrying brandy. In 1840 the Customs House at Teeth was besieged by smugglers who recovered 126 kegs of brandy. The need to reduce the acidity of the soil meant that imported limestone was burned in nine kilns located along the riverside. The existence of four fish cellars reflects the significance of the catch whilst the eight water mills indicate the importance of arable crops and possibly an excess for export although in later years grain was imported to Gweek. The land alongside the river was under the ownership of several large estates e.g. Trelowarren, Merthen and Bosahan. The owners often had interests in economic activity associated with the river including ownership of vessels. The harbours of Helford, Teeth and Port Navas and the quays of Merthen and Scotts were the result of entrepreneurial activity by land owners. Chairman Geoff Roberts thanked David for sharing his research with members. The next meeting will be the AGM on Friday 21st November in the W.I. Hall (not the Tolmen Centre) at 19.00. The AGM will be followed by a talk entitled “In Shackleton’s Footsteps” to be given by Don Garman.